Live Session with Akaiito Team! Akaiito Official > Blog > Live Session with Akaiito Team! We have been announcing it earlier and today we are glad to confirm, that on Thursday 22.02.2018 we will have Live Session with Akaiito Community. We are warmly welcoming everyone to join us and have an interesting interactive discussion. Not to miss our discussion and if You have Youtube account, please go to < https://www.youtube.com/watch?v=wiwrzuv6aew > beforehand and press the button “Set reminder”. In case, if You don’t want to ask questions openly in the chat, You can as well aadress questions to us personally by e-mail: [email protected] . 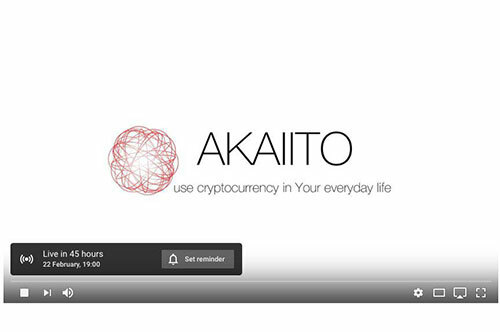 Let’s make Akaiito Live Session informative, interesting and inspiring!